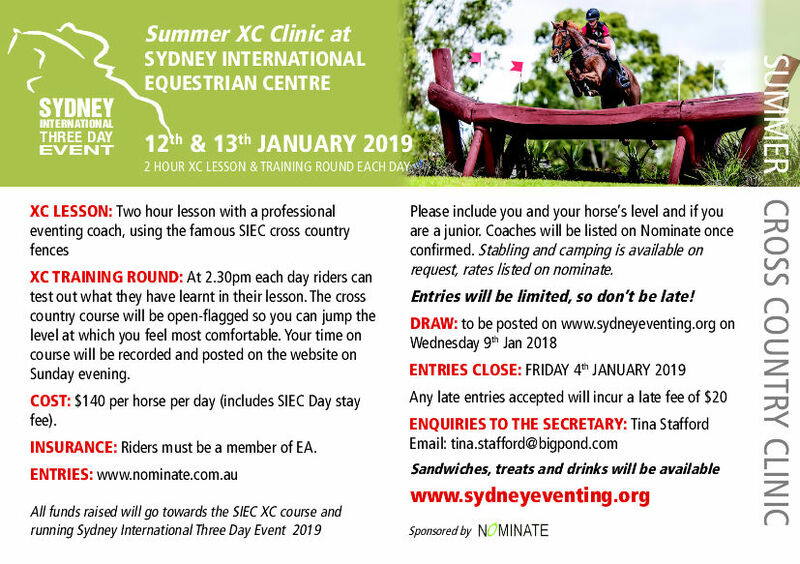 Riders must be members of EA or Eventing NSW. If you don't enter an EA number, you will be directed to a screen where you can join Eventing NSW. This membership is for 12 months, and you will received 6 copies of The Eventer and will be excempt from the non-member levy when you enter ODE's. If you would like a specific coach, please add it to the Notes section of your entry. DO NOT SEND A SEPARATE EMAIL. However, depending on group levels and numbers, it may not always be possible to give you a specific coach. Any other requests should also be added to the NOTES. Day Stays are permitted. All parking in the North Truck park. Stables and camping are available and can be booked when you enter. Stabled horses MUST arrive between 4:00 and 7:00 Friday, and before 4:00 Saturday. Horses must be stabled in the stable block and camping will be in the North Truck Park.